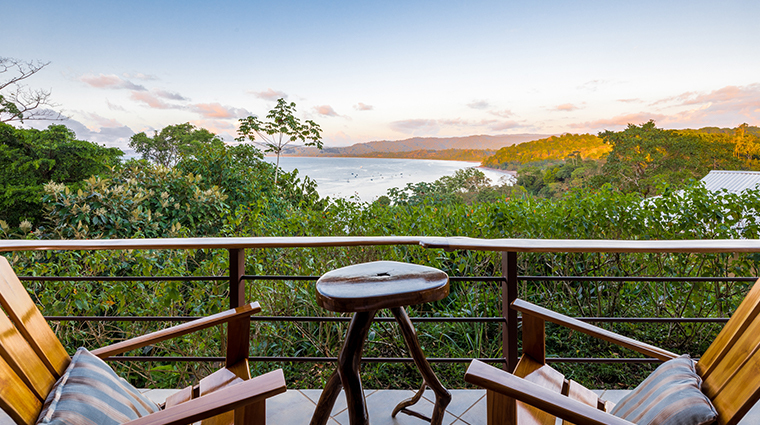 Perched on a hillside overlooking the Pacific Ocean, Drake Bay Getaway Resort resides in the fabled Osa Peninsula wilderness of Costa Rica, filled with sandy beaches, coral reefs and jungle. 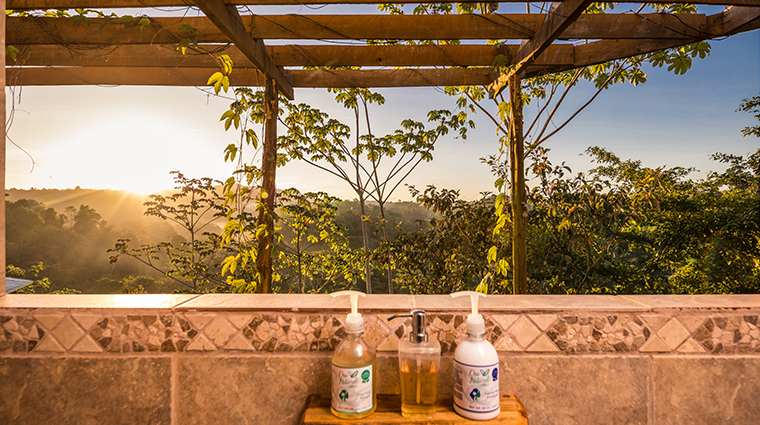 Owners Yens Steller and Patrick Ludwig designed the property to set an eco-resort standard for Central America, and their efforts, from steel straws to recaptured rainwater for the vibrant gardens, are on full display. 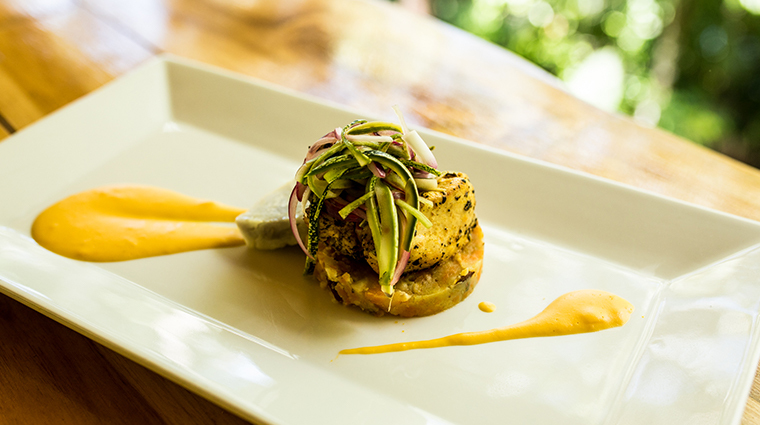 The duo’s local familiarity extends to preparing the freshest mahi-mahi and other sea harvest from area fishermen, to hiring the most knowledgeable local guides to lead a vast array of private wilderness tours. 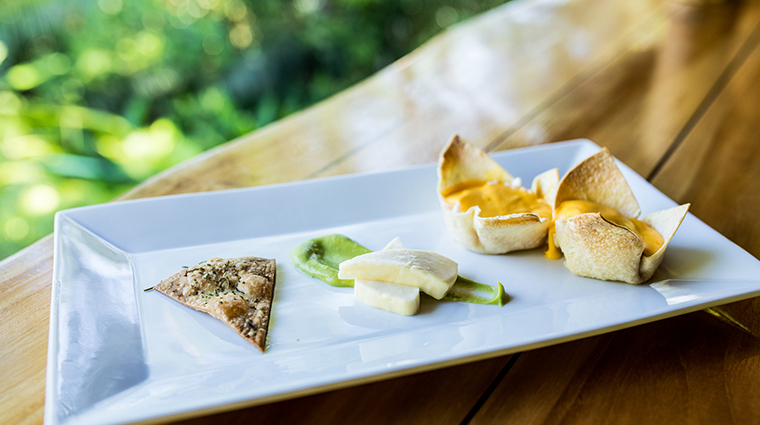 The one-of-a-kind resort prides itself on a customized guest experience — select your choice of views (ocean, rainforest or both) from one of five exclusive stilted cabins and enjoy dinner at the open-air Drake Bay Café on your schedule. 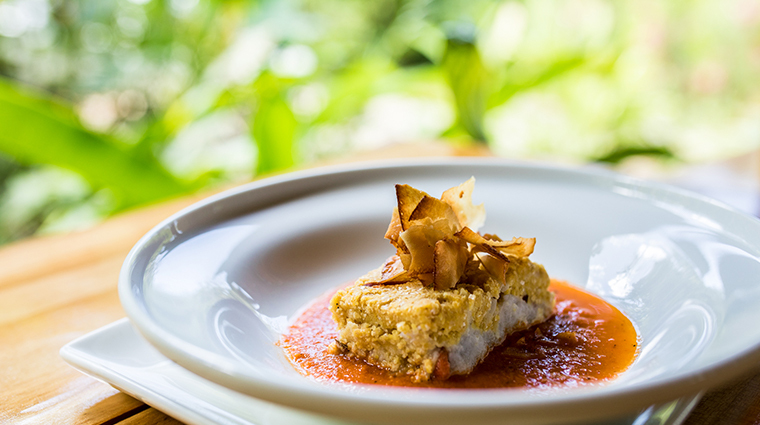 Don’t be surprised if the stroll down to dinner reveals a green-breasted mango hummingbird feeding on nectar or a pair of scarlet macaws returning to their roost for the night. 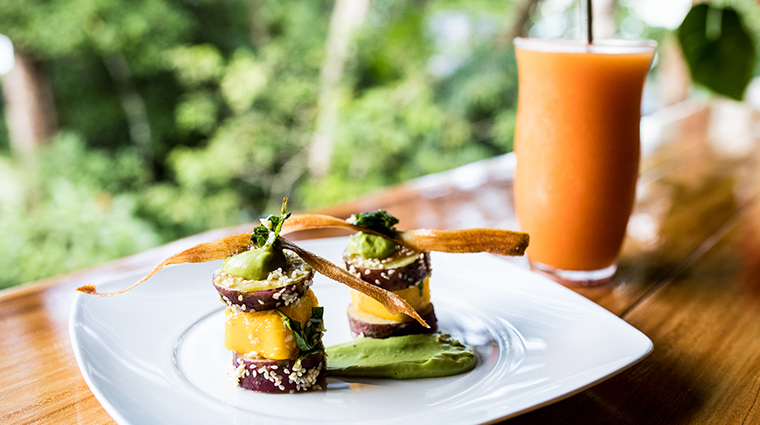 Drake Bay Cafe, fashioned from gorgeous reclaimed teak, serves delicious smoothies with every meal. 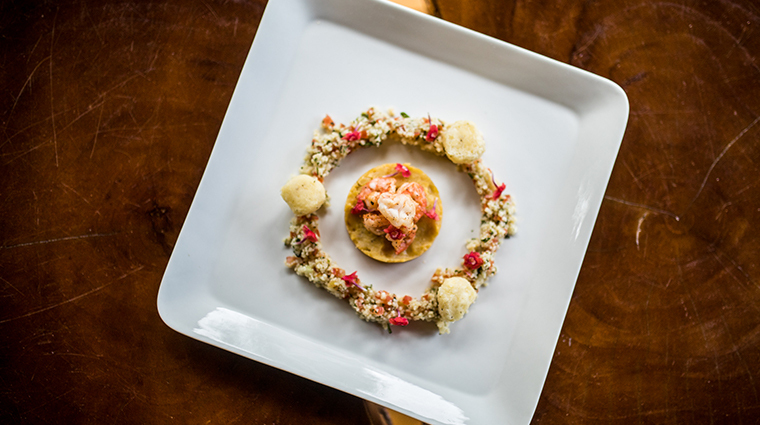 The chef can customize an impressive locally sourced menu to accommodate dietary needs. 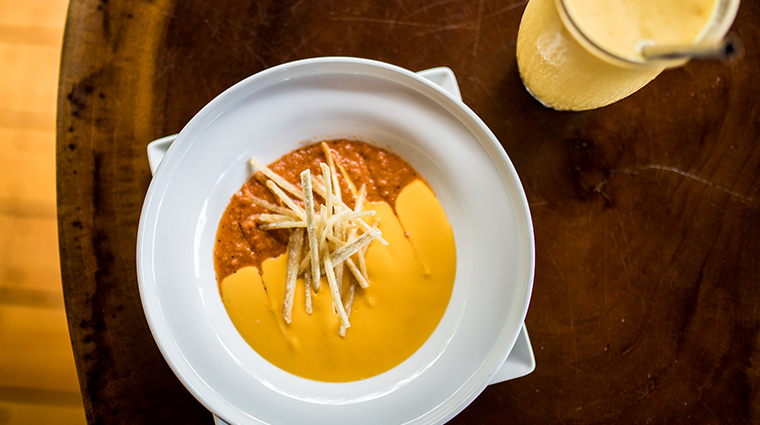 Owners Yens Steller and Patrick Ludwig are always available in the open-air café, which doubles as the resort’s reception area, to assist with every possible need from additional towels to booking custom tours, a specialty of the property. Call the owners directly before your visit to plan your tours. They take great pride in customizing every excursion and also arranging excellent private experiences whenever possible. 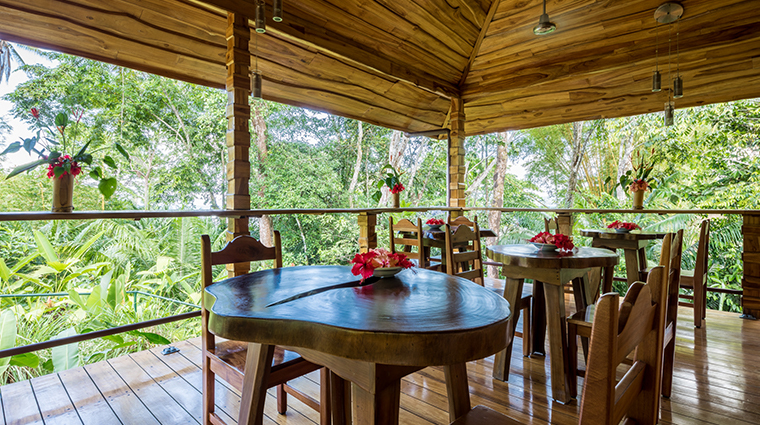 The property has the feel of a wildlife preserve where you can observe chestnut-mandibled toucans, white-faced monkeys and dozens of other tropical species right from the café. 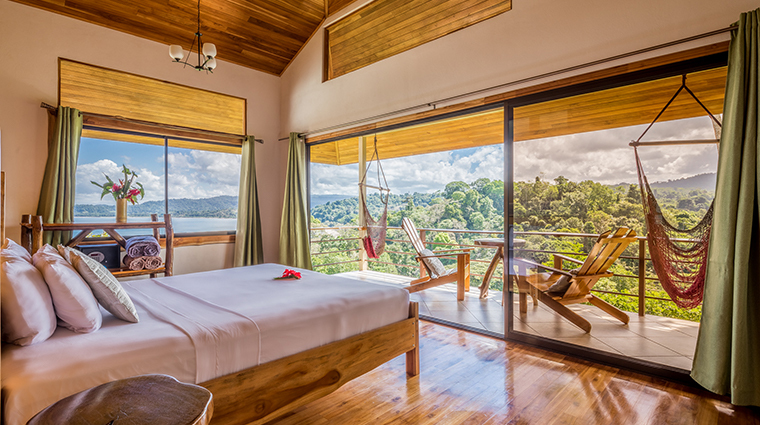 The Costa Rica resort is designed to take full advantage of the sweeping Drake Bay vistas as well as the stunning views of the rainforest canopy, from the café’s dining room to the large granite walk-in showers. The lapping waves and night symphony of nature invite sleeping with open doors, though it’s best to wait until the lights are out so as not to attract insects. There are flights available into the Sierpe and Drake Bay airports with a free shuttle to the resort, but be sure to call ahead to check on airport status before travel. A 3.5-hour boat transfer is the alternate option. 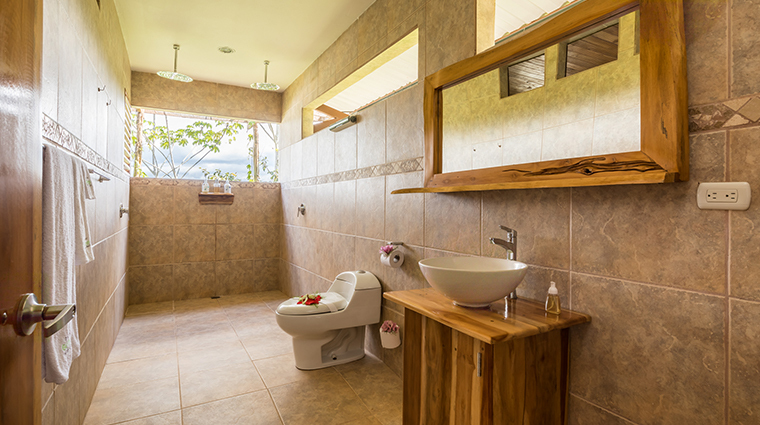 Wi-Fi is available in every cabin, though with the sweeping vistas and plethora of activities, this is a place to unplug. There is no spa at the luxury hotel, but in-room or on-terrace massage services are available upon request. A Land Rover shuttles you from the café to the cabins, though taking the well-maintained path past the incredible blooms and colorful wildlife is highly recommended. 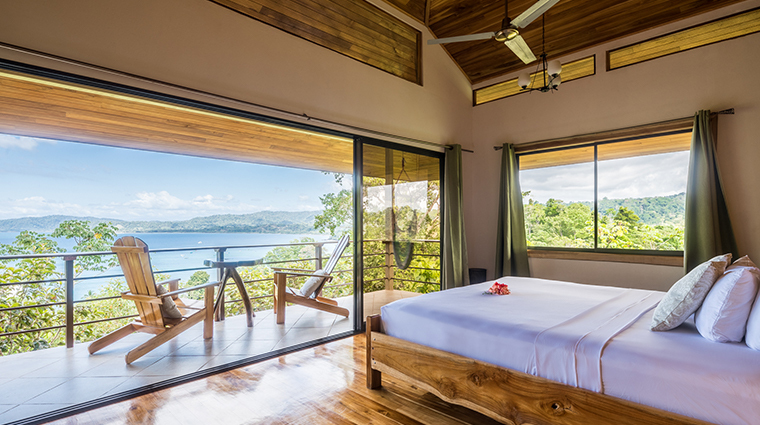 The five cabins feature a full deck with lounge chairs and a hammock, offering an unbeatable location for sunset viewing above Drake Bay and the surrounding jungle. 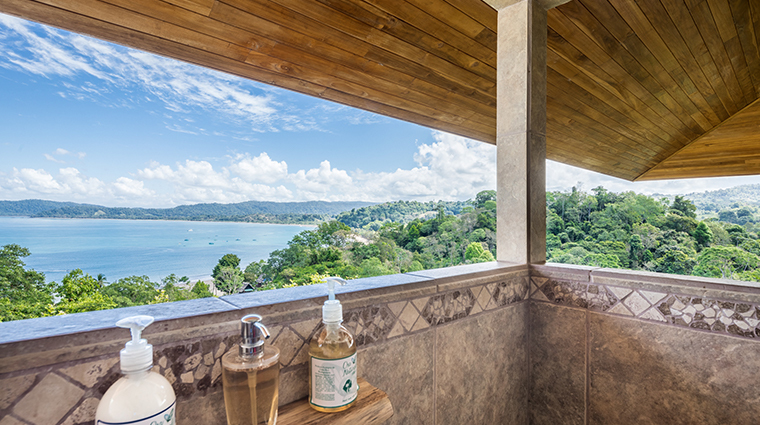 The commodious granite showers have two rainforest showerheads and a wraparound, horizontal open window that draws the wilderness into the intimate space. 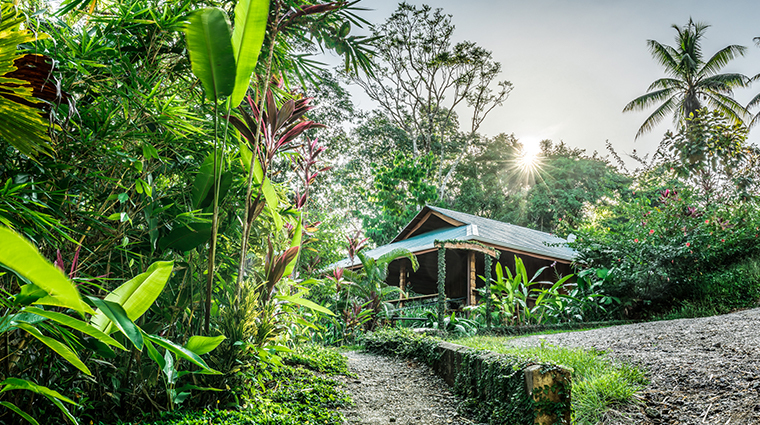 Each bungalow sits on stilts to add privacy from other cabins and separation from the jungle floor. 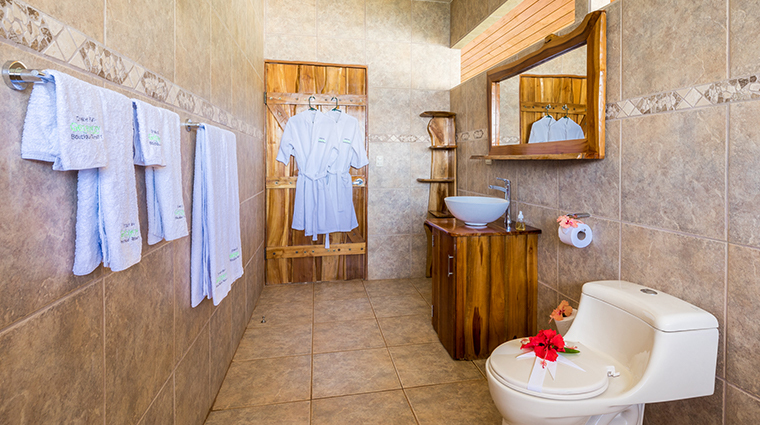 Every cabin is adorned with romantic touches like fresh flowers. 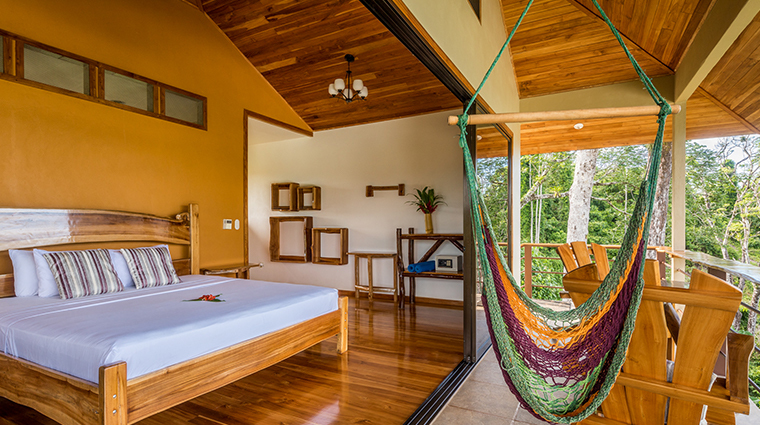 It is also possible to lie in the king bed and look out upon Drake Bay, the Pacific Ocean and the Corcovado National Park jungle. Steller, a Drake Bay native, arranges the area’s premier private guides to Corcovado National Park, a habitat for more than 600 species of mammals, reptiles and birds. White-faced capuchin, howler, spider and squirrel monkeys, as well as the rare baird’s tapirs, are among the regular sightings in Corcovado. The Bug Lady Night Tour, which raises plenty of squeals and may yield slightly more restless nights, is nothing short of an amazing window into the nocturnal jungle. The six-hour snorkeling tour to Caño Island Biological Reserve feels like diving into a tropical fish tank, though one large enough to accommodate stingrays, sharks and more than one dozen species of coral.